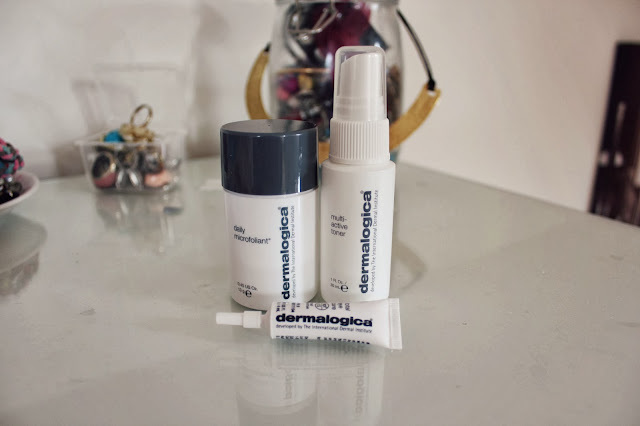 I always have issues with my skin so when I was offered the chance to try out some skincare from Dermalogica, I jumped at the chance. The first thing I'm going to talk about is the Daily Microfoliant, this is an exfoliator which is very different to any exfoliator I've tried before! It is a white powder that is very dry, you add a little bit of water and it mixes together to create a really gentle but effective exfoliant. It's perfect for me because I have very sensitive and dry skin so the fact that this isn't scratchy or irritating is perfect! This works brilliantly on blackheads and large pores, it does feel quite odd to use on your face because of the texture and consistency that it is but it really is a great product! I don't use this everyday as I have dry skin but I use it every couple of days, it makes my skin feel so so soft which is never feels like! I also love that you don't end up with lots of little scratchy bits on your face like I find happens with other scrubs! The Multi-Active Toner is a light mist, it's in a spray bottle which I've never really seen in a toner, I am personally not a huge fan of the spray bottle as I always manage to spray it wrong and get it in my hair somehow! The product itself is a really light and refreshing spray that hydrates the skin, something I've experienced with other toners is that they make my skin feel very tight and dry. I didn't experience this with this toner, my skin definitely felt more hydrated and refreshed. Finally is the Total Eye Care, I'm quite lucky that I don't suffer with puffiness or particularly bad circles so I can't comment too much on that! This eye cream looks like a concealer as it almost skin coloured, I think this is because it is meant to conceal dark circles. I would say that a little does go a long way with this product! The smell is similar to Origins products, quite fruity! It is extremely mositurizing and makes my under eyes feel amazing, it really prepared the skin under the eyes for concealer, especially on my dry skin! The downside to these products is the price, they are very very expensive, if I could recommend only one product I would recommend the Daily Microfoliant as it is my favourite, it was so so gentle on my skin and had the biggest effect and make the biggest difference to my skin! You can buy all of these products from Beauty900 here. I love the microfoliant the one and only exfoliator not to make my skin sore! I love it! I really need to try out this brand, I suffer from horrible skin and maybe something this intense might finally fix it. 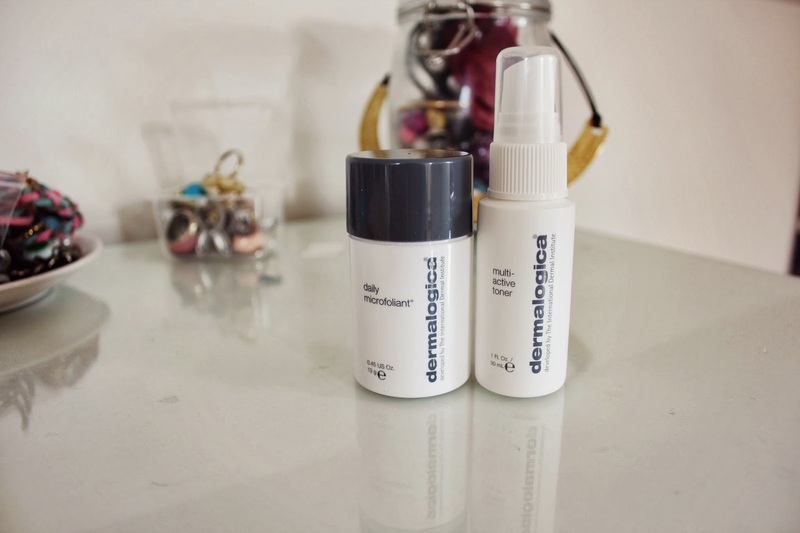 I love dermalogica skin care, a little expensive but worth it.